Little Giant Ladders indoor/outdoor tip and glide wheel kit - Model 10940-Wheel Kit. Use this easy-to-install wheel kit to make your Little Giant Ladder System even easier to use. The Tip & Glide Wheel Kit works with all models of the Little Giant Classic multi-use ladder and comes with all of the necessary connectors and drill bits to make installation safe and easy. 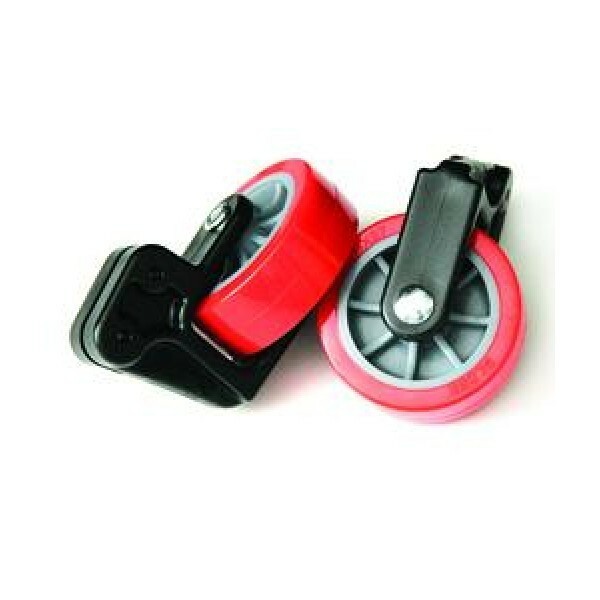 Tip-N-Glide Wheels make moving and setting up your Little Giant even easier than before. 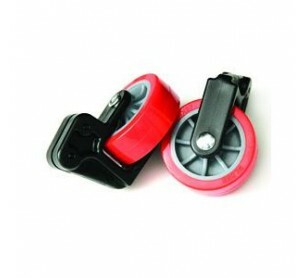 The heavy duty non-marking orange wheels are ideal for indoor or outdoor use. Makes carrying or moving any compatible Little Giant Ladder safe and easy. Ideal for indoor or outdoor use. Reduces fatigue and damage to walls and doors while moving ladders.